Hey Dolls! Nothing says summer like lemonade. 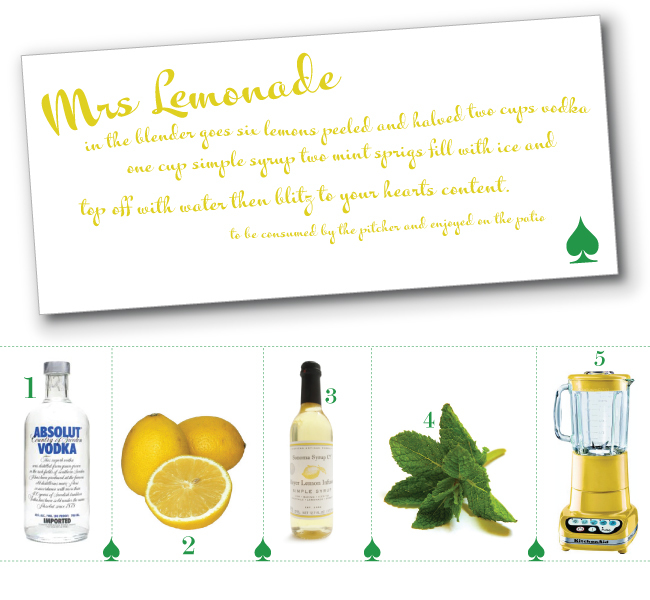 So, for the Memorial Day edition of Champagne Sunday, I give you lemonade with a twist – the “Mrs. Lemonade,” compliments of the one and only Mrs. Lilien. Peep the mixology below. MIXOLOGY | Combine 4 lemons (peeled and seeded), 1 cup of Vodka, 1/4 cup of simple syrup, and 6 fresh mint leaves in a blender and blend on high for 30 seconds. Stop the blender, add 3 cups of ice, and puree until smooth. Serve in chilled glasses and garnish with straws. Chin, Chin! Until Then | Keep Sharing the Pretty!